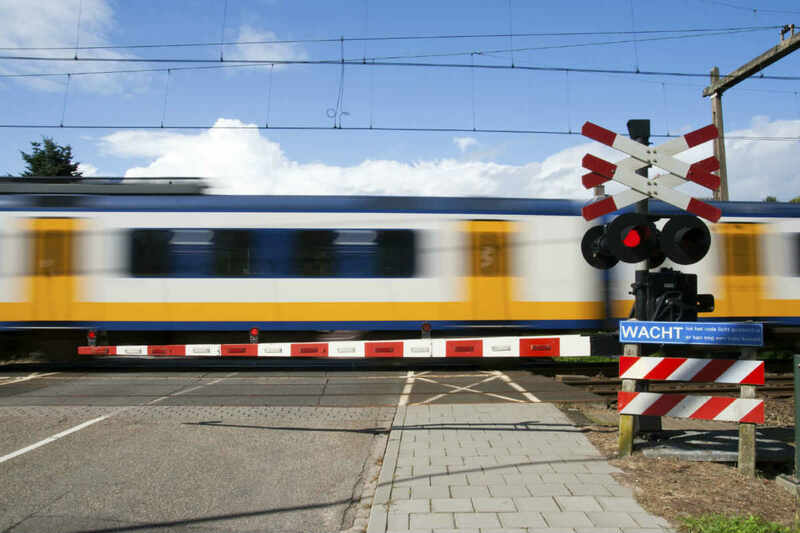 An accident involving a train and car occurs every three hours in the U.S.
Motor vehicle accidents that occur at railroad crossings are often fatal. Operation Lifesaver is an organization dedicated to reducing the number of injuries and fatalities that are a result of accidents occurring at railroad crossings. According to their statistics, an accident involving a train and car occurs every three hours in the U.S. The most efficient and commonly used method of cargo transportation within the country is by train and according to the U.S. Department of Transportation, this trend will continue to grow in the coming years. One of the most challenging issues to resolve when a railway crossing collision occurs is to decide who or what is responsible for it and the legal liabilities of the parties involved. Providing necessary training for the train operators, engineers, and conductors. Making sure the train operator does not suffer from fatigue and are not working under the influence of drugs or alcohol. Ensuring that train personnel is using the necessary train sounds to signal that a train is approaching a crossing. Keeping the train speed within the limit, depending on the track segment. Providing proper locomotive and other railing equipment maintenance. Installing lights and gates at the crossings and regular maintenance of the track. Making sure that approaching vehicles can see the signals clearly, for example, clearing any objects that may obstruct a driver’s line of sight. Warning horns, bells, and whistles. Warning lights and flashing headlights. Brake systems on both locomotives and cars. An appropriate mechanism that connects the cars together. Communication systems for every member of the crew. Sometimes the cause of vehicle-train collisions may be caused by the poor condition of a road. The municipality may be legally liable for the consequences of the collision. The driver of the vehicle involved in a train collision may be the one at fault. A driver may try to pass over the railway crossing, thinking they have enough time to pass safely. If a driver does not respect the signals, he or she may be legally liable for any injuries resulting from a collision. If you have been involved in a train-car collision, speak with a St. Louis car injury lawyer from The Hoffmann Law Firm, L.L.C. We will help you determine who is liable and if you should receive compensation for damages. Call us at (314) 361-4242 for a free consultation.